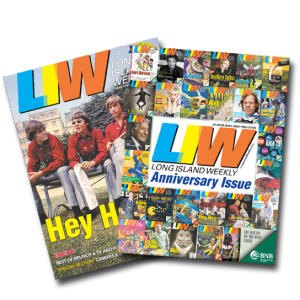 Long Island Weekly is our arts, entertainment and lifestyle publication for all of Nassau County. Our award-winning editorial team covers a number of subject each week—you’ll find exclusive celebrity interviews, music, theatre and book reviews, museum features, food and dining adventures, a unique sports page and more. Long Island Weekly has quickly become one of Anton’s most popular publications, and it’s all delivered through our landmark partnership with Newsday in their Wednesday home delivery bag to communities all across Nassau County. 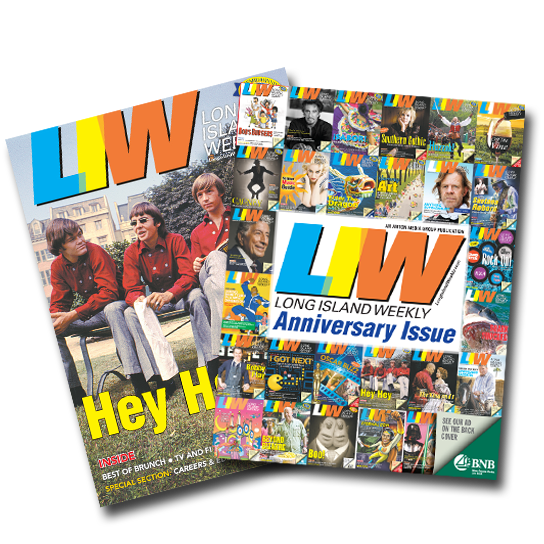 In addition, you’ll also find your Long Island Weekly at over 1200 high-traffic newsstands throughout Nassau County. Anton continues to add to an already impressive portfolio of publications with Long Island Weekly, delivering a whole new dimension of content to both our loyal readers and our advertisers.